Rainbow Veters - 2 lbs. Rainbow Veters are a delicious Dutch licorice candy in the shape of long laces. The flavors are strawberry, apple, raspberry, and tutti-frutti. Some of you will no doubt remember the European quality of Licorice Laces. The texture and flavor is unsurpassed. 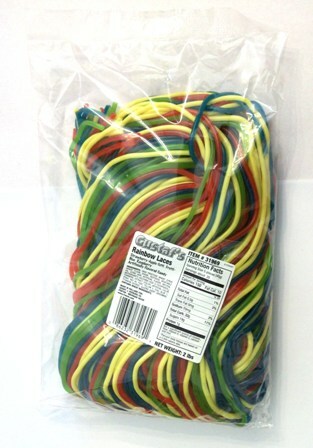 We also carry Aardbei Veters (Strawberry Laces) and Drop Veters (Black Licorice Laces).